Barret grew up in Fort Wayne, Indiana. He attended High Point University in North Carolina where he graduated with a degree in Business Administration with a minor in Sales and Marketing. After graduation Barret moved to New York City, where his passion for real estate first developed. He began his career as an apprentice to one of the top commercial real estate agents in Manhattan. During this time Barret learned the intricacies and nuances of NYC real estate with firsthand experience in every borough. 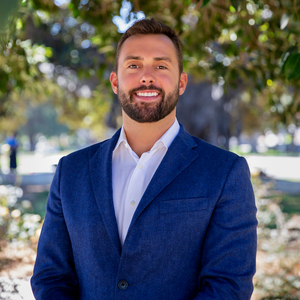 Now a licensed California Realtor, Barret is a valuable team member of the Mark Mintz Group and is poised to become a top Los Angeles Agent. Barret is passionate about all things real estate, eagerly helping his clients achieve their dreams of homeownership.